Alexis Sanchez has earned his way into Gooners affections after a single season, whereas most players take time to earn the adoration of supporters. His inexhaustible displays on the pitch, his sunny disposition and moments of inspiration have thrust the Chilean into the limelight and is far removed from his roots. These very roots have been touched upon by the media, keen to paint a picture of a humble, hard-working South American who overcame his rustic upbringing to become one of the top players in the world. This article will now reveal the ‘true’ story of Alexis Sanchez – one that will shock and captivate…….hopefully. Alexis ‘Mavis’ Sanchez was born on the 19th of December 1988 in the village of Tocopilla, Chile. This day is celebrated in the South American country due to it being the birthday of their national hero. Part myth, part fact, Mavis Chavez’s battle and eventual triumph over the plague of rabid badgers which depleted Chile’s food stocks in 1901 is now an annual party which every Chilean embraces wildly. Hence, being born on this day is viewed as an honour and Alexis was given his moniker. The Sanchez family was small as opposed to most in the village. This was due to his father Esteban ‘Dirty’ Sanchez suffering from a persistent ear infection which rendered his sense of balance close to useless and his quests to make love and procreate with his beautiful wife – Julia – rare and unfulfilling. So when Alexis was born, his parents saw him as a gift from god. They idolised their little miracle and what meagre earnings they could muster, were all lavished upon Sanchez Junior. Esteban – being unable to walk more than a few paces without stumbling to the ground – struggled to make enough money to feed his small family. That was until he found that what ails him could be turned to profit. He was given the job as Chile’s national Diving Coach and took to it with aplomb. With his wages more than able to put food on the table and provide for his son and wife, this was the ideal foundation for young Alexis to flourish. Small in stature but with a heart as fierce as a lion, Alexis put everything into every endeavour. His parents instilled the mantra with which he still lives by – Do or do not, there is no try. His classmates at school and even his teachers found that whenever they doubted him, little Alexis would overcome any deficit. A talent soon shone through in his early development, one which would never leave him up to the current day. His seemingly unending stamina saw him soon tire out his friends and the teaching staff. Unable to sit still and his urge to continuously be in motion led to the teachers tethering him to a pole and letting him run laps of the playground like an excitable puppy on methamphetamine while he answered maths questions. It wasn’t only his school which felt the effects of Sanchez Junior and his whirling legs. Local businesses employed his ‘services’ as a runner and delivery boy, utilising his speed and trustworthy nature and paying him a small wage in return. Alexis at first used the money he earned to satisfy his sweet tooth and he and his friends were often found on the hard floors of the local futsal pitch, in a daze from a sugar-induced brain fugue. This wasn’t to last though. Another of Sanchez’s traits was his selfless nature and it was this which led to him giving succour to the many poor families which were herded into areas much like the ‘favelas’ in Brazil. He used his money to buy food and blankets to the homeless, donated to food banks and used all of his spare time to take on more hours at his existing employment in his neverending chase to sate the demand. In the rare hours in which he chose to act like all young boys do, he played football. His talents, which seemed to be gifts from a higher plain due to his lack of playing time, soon shone brightly enough to be scouted by his local side and he was snapped up by the coach at the time, Jose Villanova. Villanova kept a close eye on the young Sanchez and made sure his path was as obstacle-free as possible. 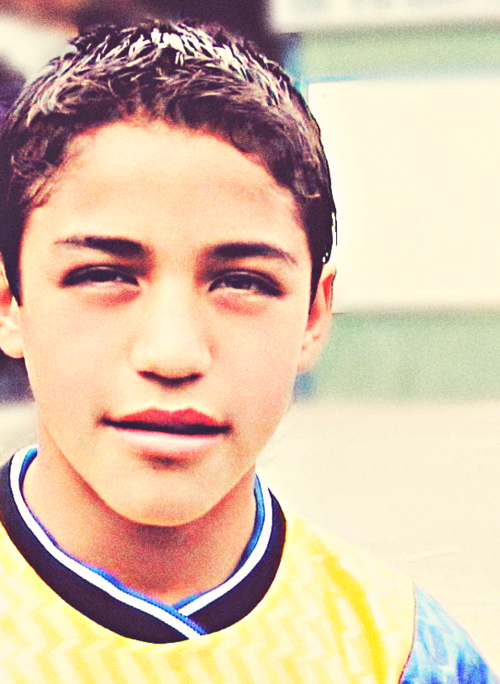 Sanchez soon found himself in the first team at the tender age of thirteen. His adult teammates soon found that sniggers and complaints about this young upstart being in the team were the wrong approach and soon the negativity turned to applause. His charitable work didn’t suffer either. Indeed, they were boosted by the donation of all match bonuses and Tocopilla soon came together as one to view ‘Mavis’ as the embodiment of all that is good in the human spirit. His meteoric rise to Arsenal, via Barcelona and Udinese, are well known, but what is less known is the source for his untapped stamina levels. His parents were reluctant to disclose the source of his energy, but it was revealed that after a routine trip to the local GP for a height check at the young age of 16, the doctor informed them that Alexis had midichlorians in his blood and was indeed a Jedi. The ridiculous levels of energy he possessed? It was only the untapped reservoir of the ‘Force’ finding a way to be utilised. Understandably, his family were unsure if informing the world that their only son was the future saviour of the Galaxy was the wisest choice – the public weren’t ready for the possibility of another Phantom Menace film and George Lucas can be a persistent fellow when he wants to be. Fortunately, Lucas has promised that ‘Star Wars XXI – Red Hot Chile Force’ will only be an animated series and released in the year 2138. So, there we have it. We have a formidable weapon in our Arsenal and a Padawan in training. Alexis ‘Mavis’ Sanchez, Ladies and Gentlemen. ‹ PreviousPremier League Previews With Dohyo! Next ›Champions League – In It to Win It or Just Enjoy the Show?